I've been struggling to get my morning posts out in recent months, and that's because my workload at theartofchart.net is substantial and still growing. Every morning before the open I update and publish charts on nineteen different futures and forex instruments and record a premarket video looking at all of those. This must be my main priority. A possible solution I am looking at is to clip the equity indices section from that premarket video, and post that with a chart or two before or near the open. This should allow me to get back to doing these free posts on indices every morning which I'd like. Trying that out today. Tell me what you think. If the video isn't loading, then the direct link to it is here. I'll be uploading it to YouTube tomorrow and trying that instead of the direct upload I tried today. Tell me what you think of the new format. Considering doing this every morning to get back into a workable daily routine on the blog. 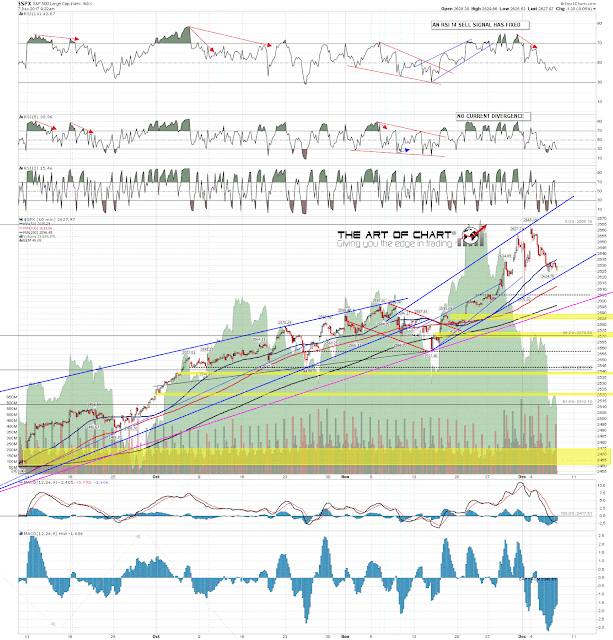 RUT - The Sleeping Giant Awakens?